The course “Human Error“ has been Pre-approved by RAPS as eligible for up to 12 credits towards a participant’s RAC recertification upon full completion. Human error is known to be the major cause of quality and production losses in many industries. 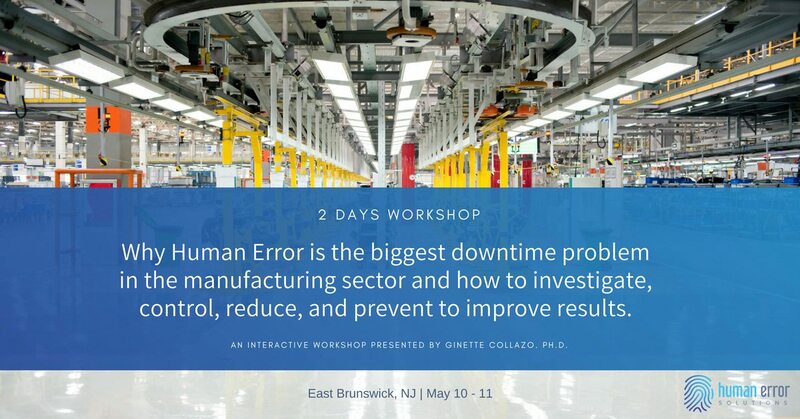 Although it is unlikely that human error will ever be totally eliminated, many human performance problems can be prevented. Human errors start at the design stage. From procedures, training, and workplace environment many variables that affect human behavior CAN be manipulated reducing the likelihood of these occurrences. To work with these challenges it is really important to understand human behavior and the psychology of error as well as understand exactly where the system’s weaknesses are, so they can be improved and/or fixed. This course offers practical approaches to address human performance issues in GMP related environments by using a specific methodology to investigate, correct, prevent and avoid re-occurrence of these issues.